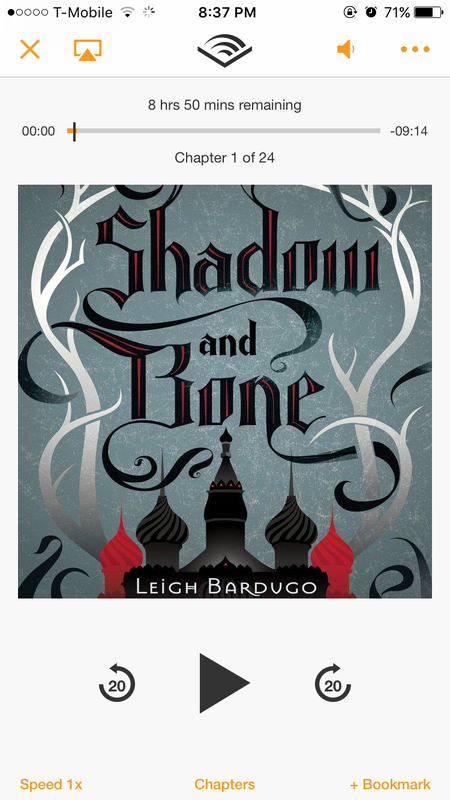 I was very surprised at how much I liked Shadow and Bone. I downloaded the audio book when audible had a really good sale going on and started it soon after. I had just finished Beauty by Robin McKinley and I was being stubborn about starting a new book, as one is after finishing a really good one. So I started listening, digging my heels in at the beginning. Before I knew it, I was so into the story. Alina grew up an orphan and was serving in the King’s army as a map-maker when her powers awoke, instantly rocketing her from lowly soldier to a revered Grisha. The only additional thing I’ll say is it involves two men and all the right decisions. Seriously, with Alina I didn’t have any, “Noo! Don’t do that you stupid wanna-be heroine!! !” moments. She is brave and strong and will do so much to survive.